“The jackal the sharpest among beasts, the crow among birds, and the barber among men. “-Anonymous. Whenever we visiti Ahmedabad its late evening when we reached in outskirt of city. So we prefer countryside road which still has little wild life opposite to the busy direct road which take us to Ahmedabad fast. In monsoon evenings mostly bird activity are less or we can’t able to locate them due to greens. 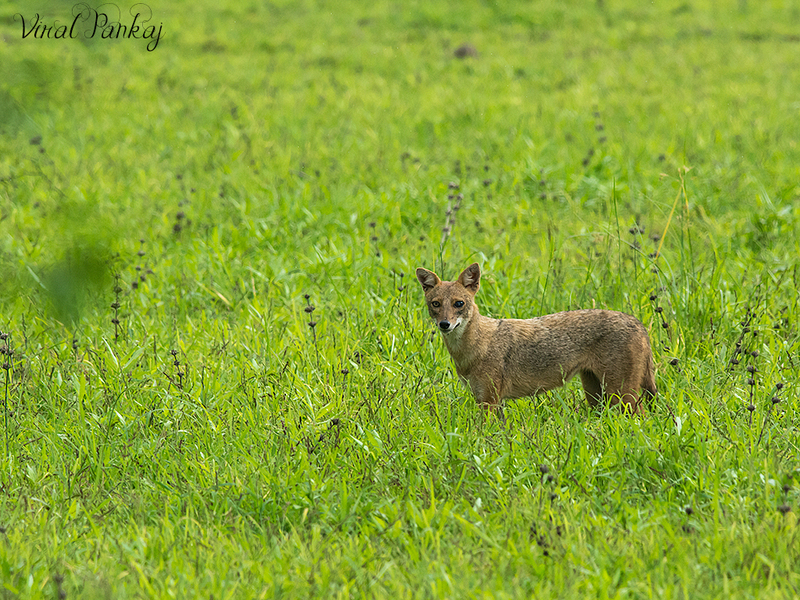 On that lucky day we saw group of 5 to 8 Golden Jackals. It was their normal habitat. They are mostly seen in group half hidden in green-grass. They look cool in green colour background. Once we try to find the Golden jackal in night. We can trace them in moonlight only because of their communal calling. It reveals their location but did not succeed in photography. In this video you can hear their calling. 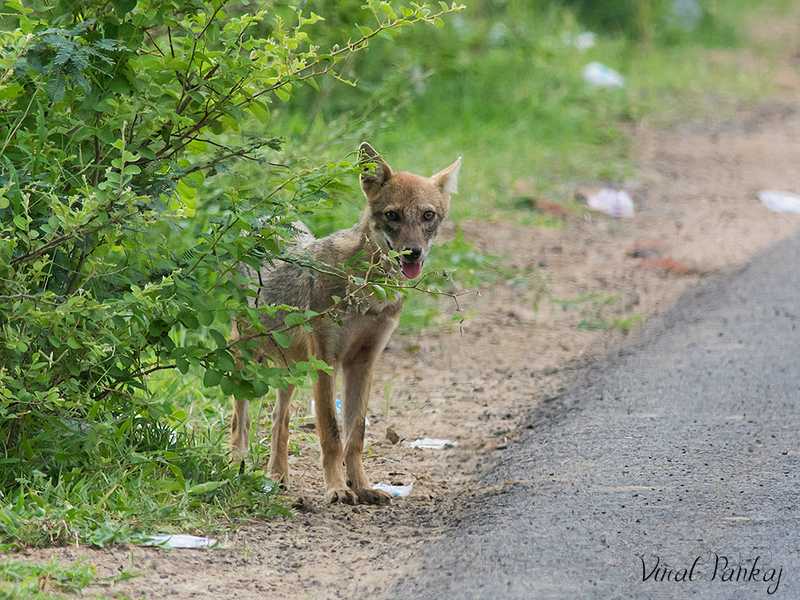 The vocalisations of the golden jackal are similar to those of the domestic dog, though more "plaintive". Its howl consists of a wailing "Ai-yai! Ai-yai!" sounds.